It’s Easter week and time to celebrate the death and resurrection of Jesus Christ. I have fond memories of Easter and one of them includes my Mum cooking Frejon with Mackrell stew on Good Friday. As a kid I thought Easter was more fun than Christmas because, Christmas was just one day and Easter was a couple of days. From Palm Sunday when we got to make crosses with palm fronds through to Good Friday and the Resurrection Monday when we went out to picnics, Easter was dope. Only that I don’t remember getting new clothes and new shoes for Easter. Beyond the funfair of the season, the very essence of a Christian’s walk with Christ is embedded in the story of Easter (selfless love and sacrifice). Before I get too religious on you guys let me share with you how I made my Frejon, you can try it out on Good Friday. 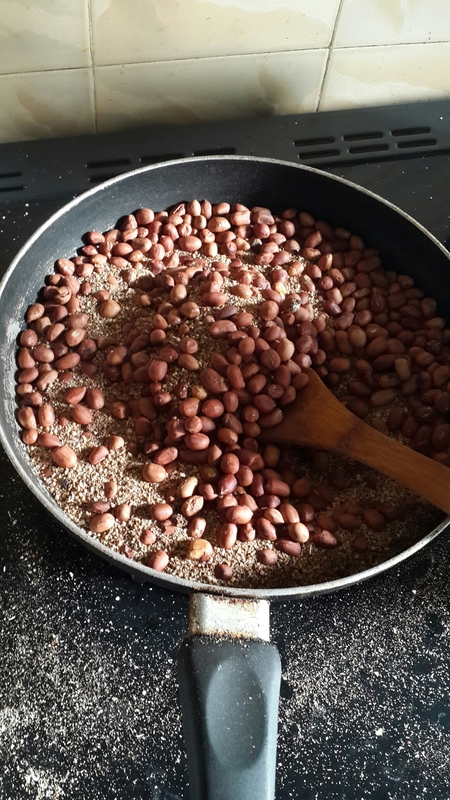 – Pick dirt out of the beans, wash and cook with enough water (*coconut water too if you have some)to cook through for 30 minutes with a pressure pot . * If you don’t have a pressure pot use your regular pot bit it would take a longer time to cook. 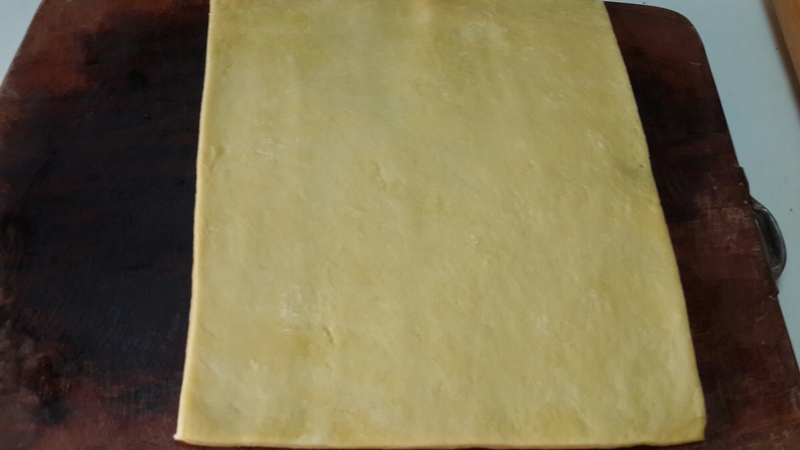 Cook till it has absorbed all the water and it is soft. I cooked my beans with some fresh coconut flakes. 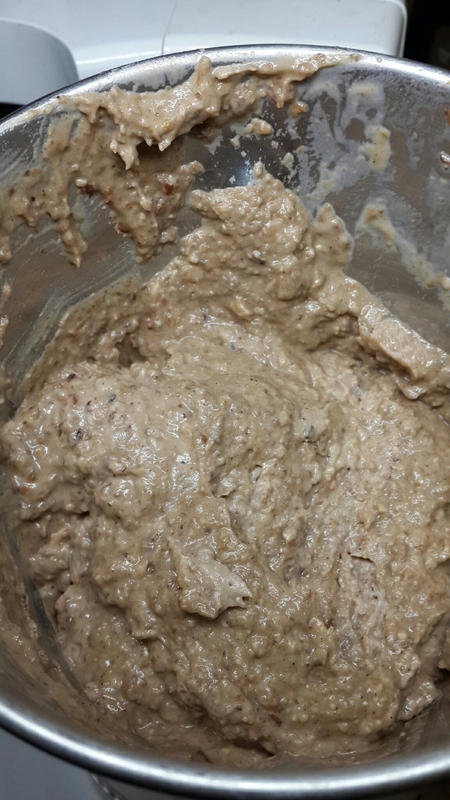 – Use a blender or a food processor to blend the beans with some coconut milk. *My mum used to make her own coconut milk by grating coconut, adding some water and squeezing out the milk with a muslin/cheese cloth. – Return the beans to the pot, add sugar and salt and a little bit of water (I used coconut water). Turn the heat down and allow to simmer till it thickens. -Turn of the heat and leave to cool. 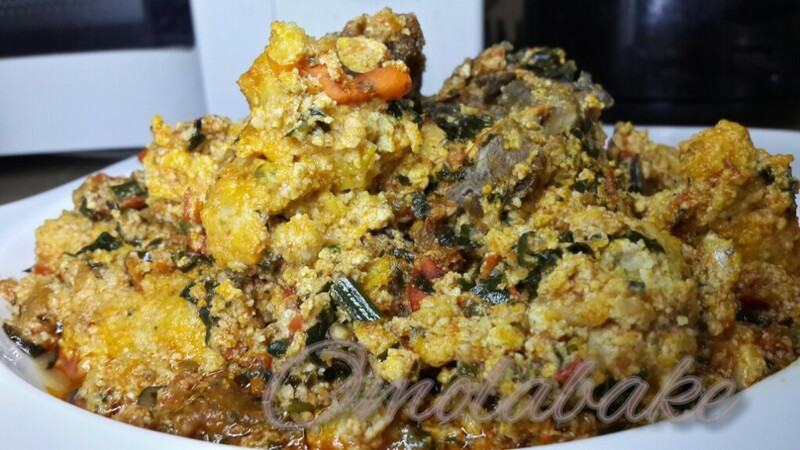 Serve warm with Sauce and garri to sprinkle on it. – In a blender blitz your pepper. 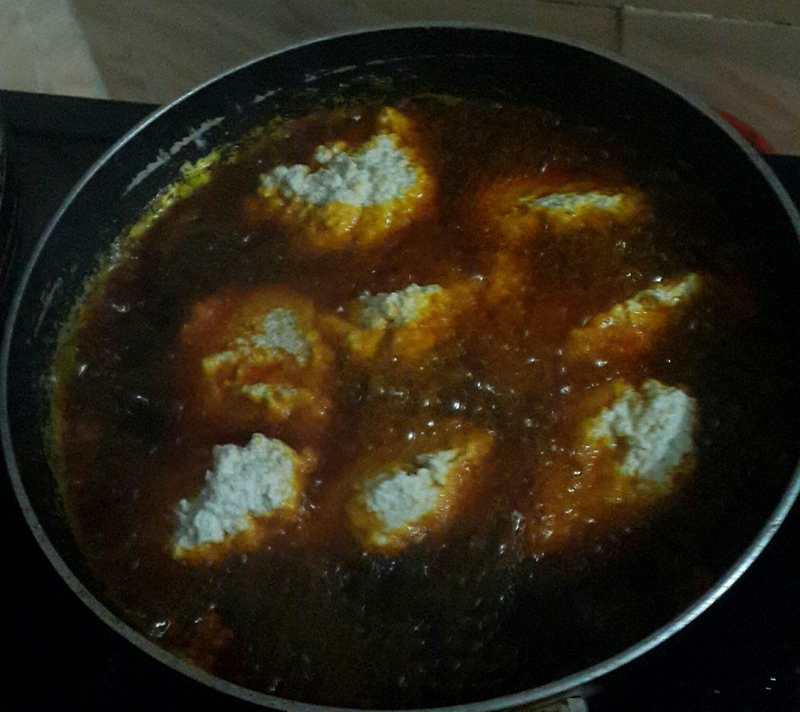 – Heat up palm oil to smoke point and add the onions, fry onion slightly and add the pepper. – Season with salt, powdered crayfish, bouillon cubes. – 15 minutes into cooking the pepper add your fish. – Cook till done – i.e the water is completely reduced and the pepper no longer tastes raw-. 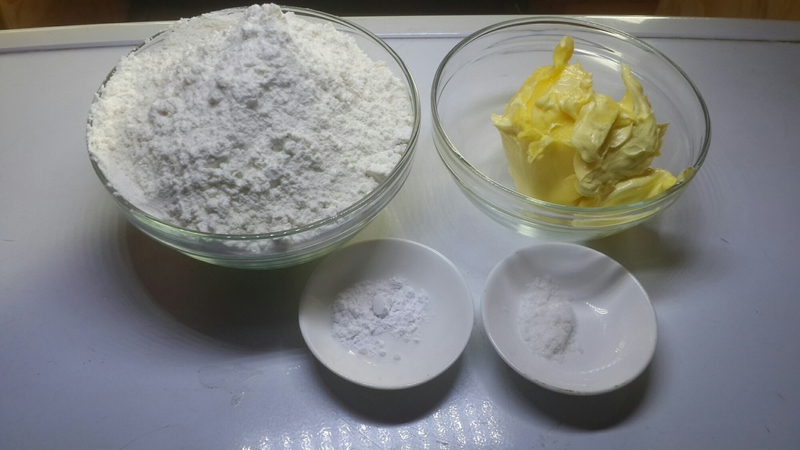 – Mix all your dry ingredients together till well incorporated. I used a seive to sift the dry ingredients twice . 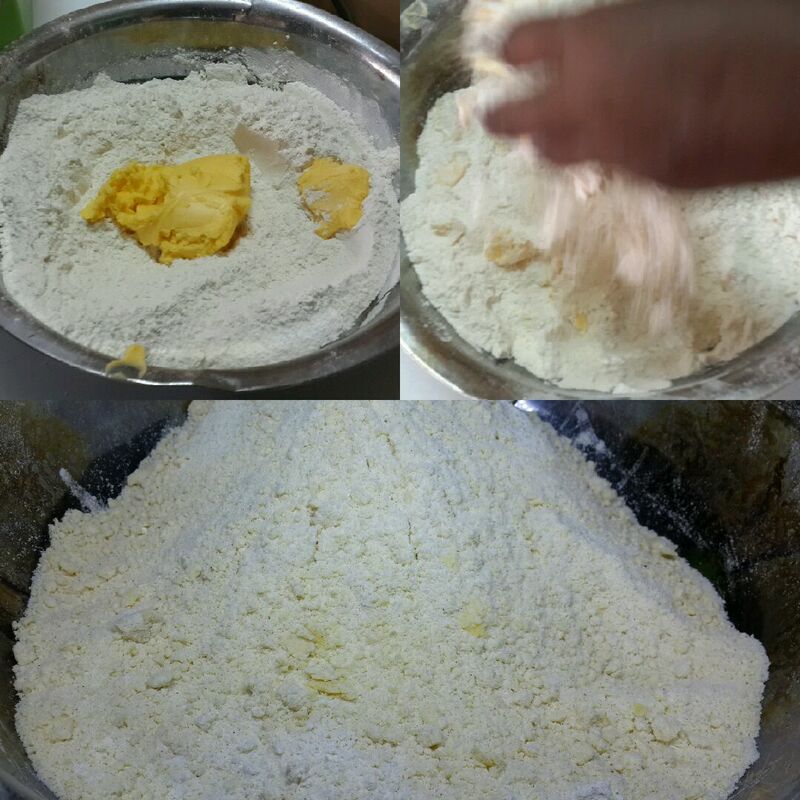 – Add the margarine and rub it in gently till it resembles fine bread crumbs. 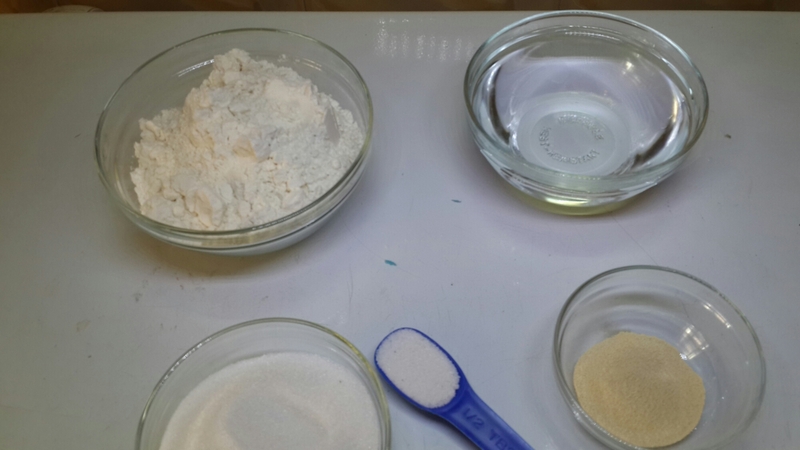 – Add the wet ingredients to bind the ingredients together. The mixture would be light and sticky. in the picture below. * You may need to add like 3 tbsp of water to water in the recipe. 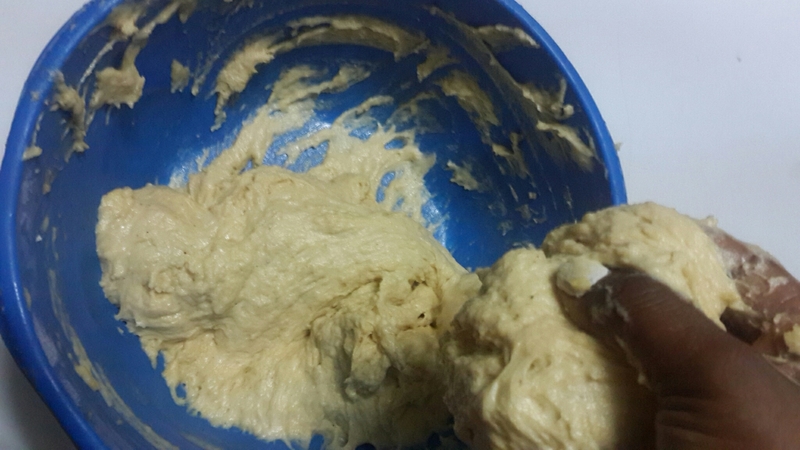 – Leave the mixture to rest for about 20 minutes. – Heat up vegetable oil in a deep pan. You need a lot of vegetable oil because you would be using the deep frying method. When the oil is hot, turn the heat down – to a lower range of medium – . 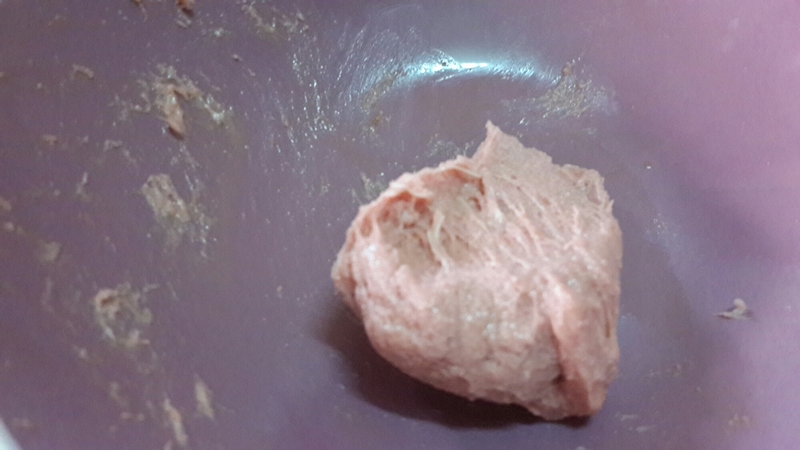 – Scoop the paste with your hands or use a spoon into the oil. Fry both sides till golden bowl. 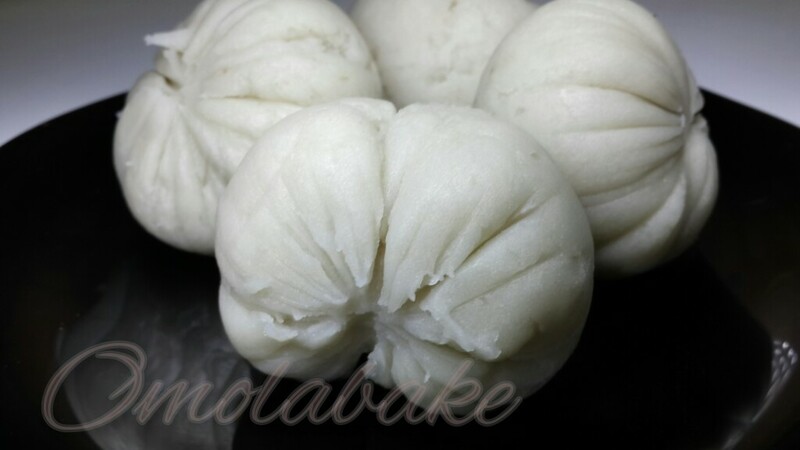 – Serve hot or warm *Buns has a trademark, and that is, the bumpy rough crunchy outer covering and the soft inside. 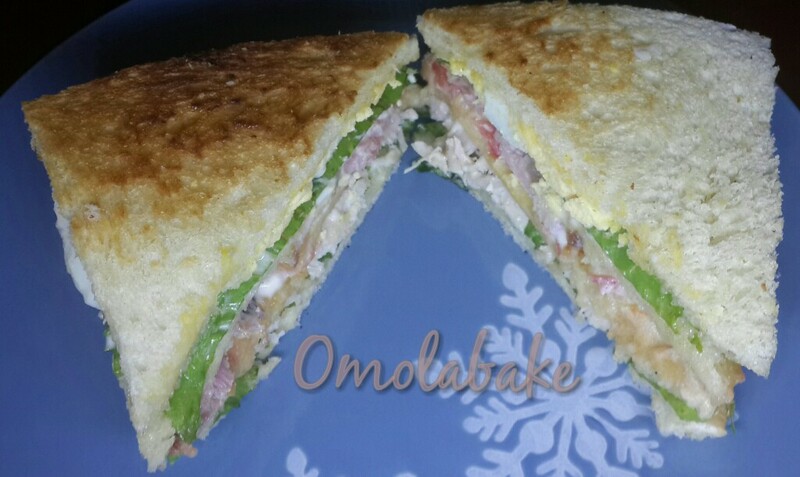 The inside tastes like a cross between Agege Bread and nigerian cake. I have a confession! Puff puff is my number one weakness! When I started dating my husband, we went together to Lagos Island to do some shopping, I saw a puff puff vendor by the road side and bought 200 naira’s worth of puff puff . 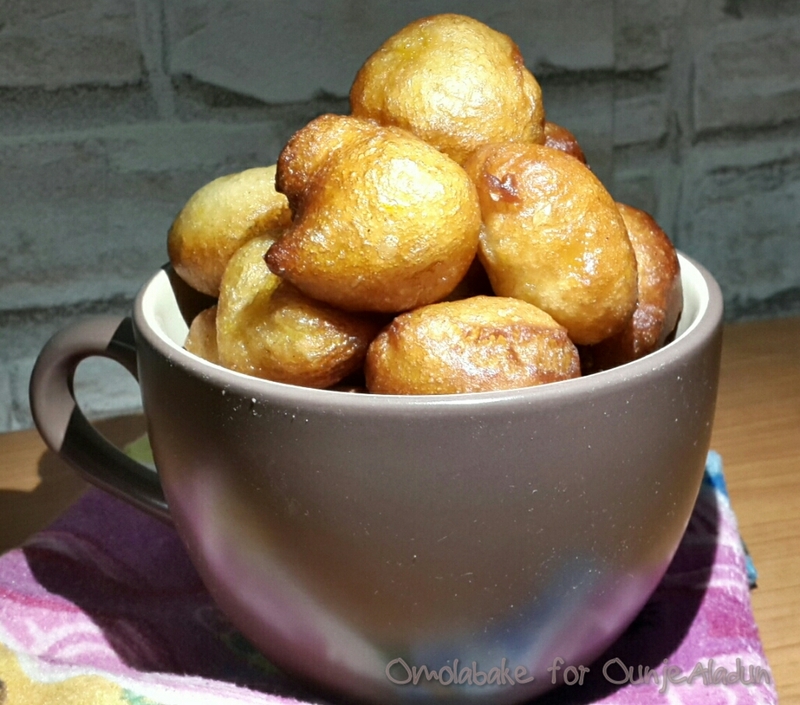 The puff puff were sold at 5 naira each and so we had about 40 pieces between the two of us. 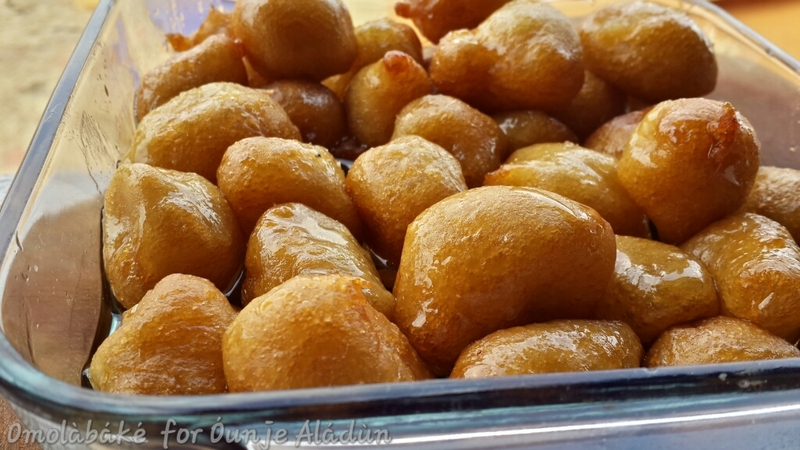 The young man was shocked when i single handedly ate 30 little pieces of puff puff (I was very hungry sha o), there and then he confirmed that I was the puff puff eating queen. My little oga is the new king of puff puff, he danced with glee when he saw me step out of the kitchen with a plate of puff puff and went straight for the kill. Test to see that your yeast is active. To do this, add 1/2 tsp of sugar to a 1/8 cup of warm water and add the yeast. Leave it for about 10 minutes, you may not even wait up to 2 minutes before you see the yeast start to froth. See picture below for active yeast and inactive yeast. 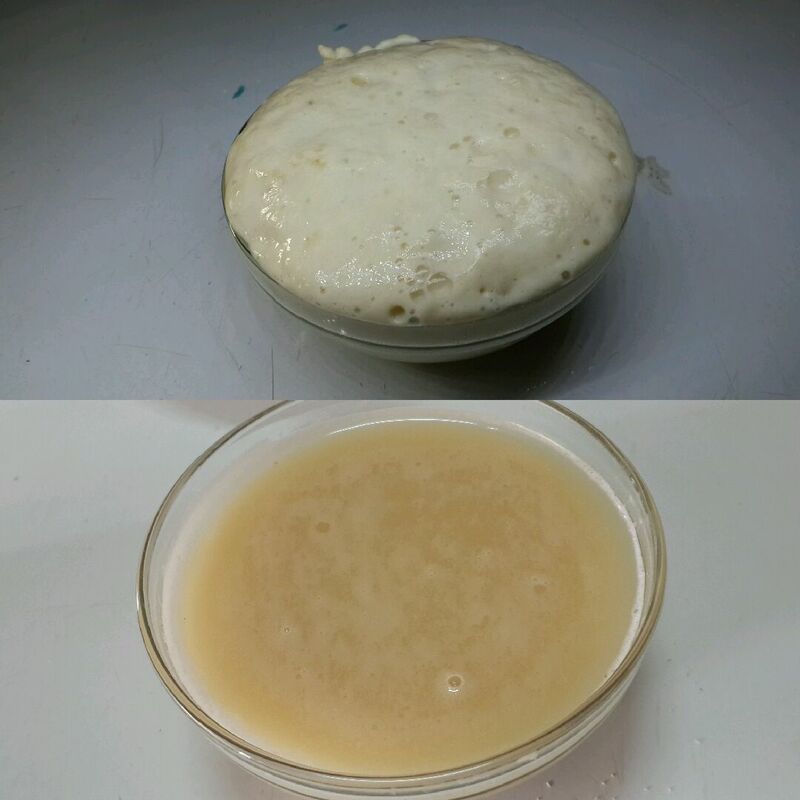 The yeast on top is active while the yeast below is not. 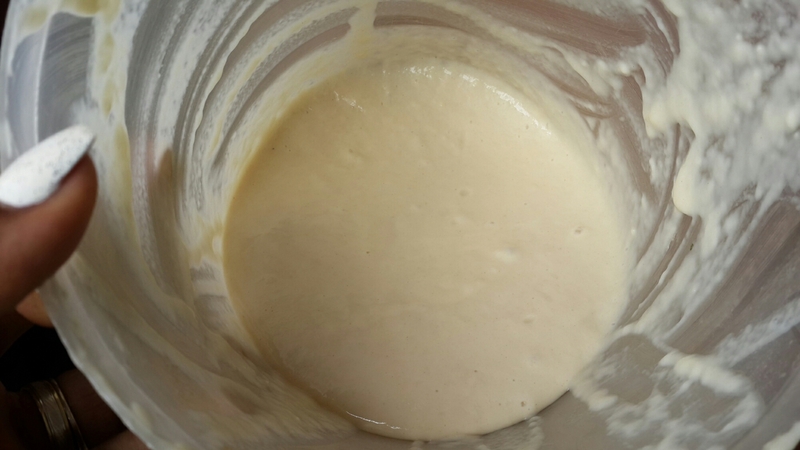 If you don’t test your yeast before use, you might find yourself wasting a batch of puff paste that refused to rise. 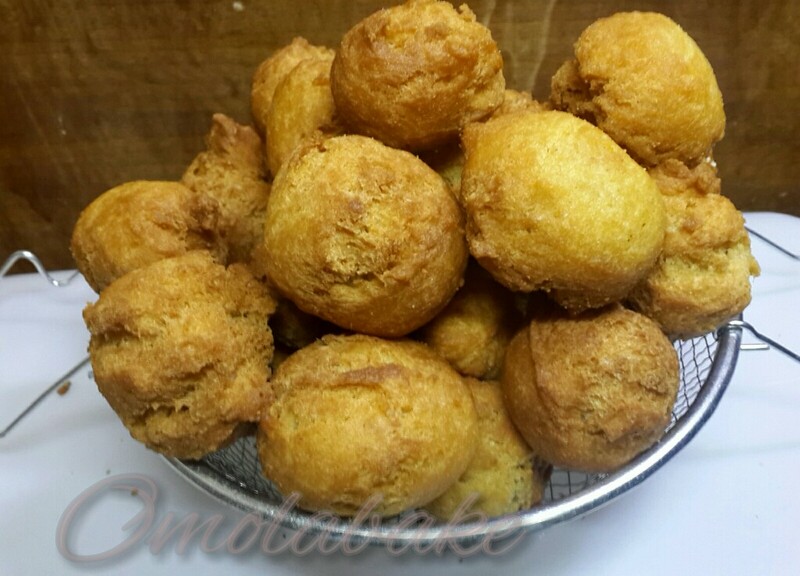 Even if you go ahead to fry, you wouldn’t not get the puff puff chewy effect or taste. The water used to activate the yeast should not be too hot, you should be able to stick a finger into it. Sugar is added to yeast so that the bacteria can start to work on the sugar hence activating the yeast. 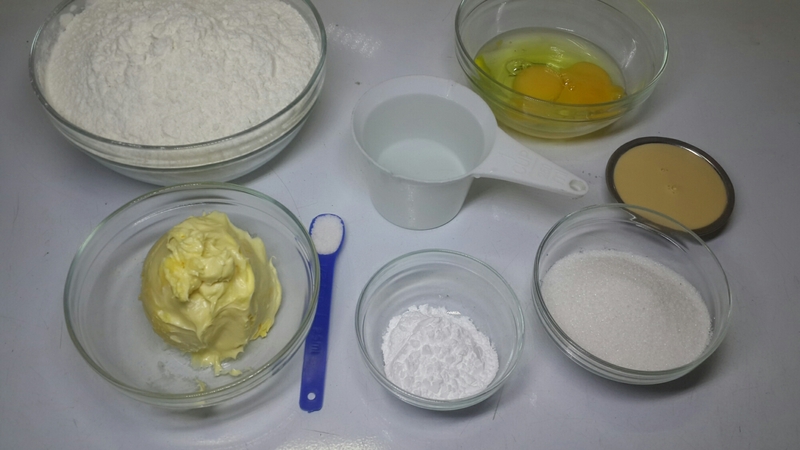 – Mix all ingredients together with clean hands, a wooden spoon or with a dough hook until smooth and elastic. – Cover to rise for about 1 hr in a warm place, it would right to about twice it’s size . – Heat up oil and turn the heat to medium or low. 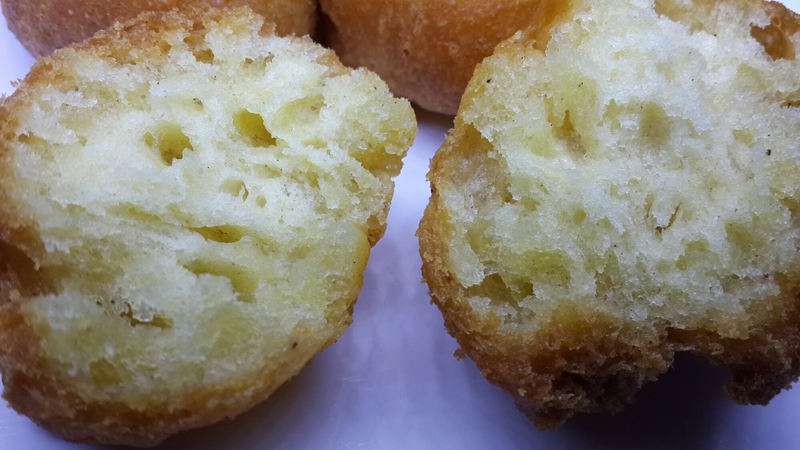 After making your puff-Puff mix, you can pour the batter into a freezer bag and allow it to rise in the freezer bag. Seal the freezer bag allowing room for air inside. When the batter has risen, snip the tip of the bag with a scissors, to make a small hole large enough for the batter to pass through. Squeeze the bag gently to let the paste out and sip the paste with a scissors when you have passed enough to make your required ball size. 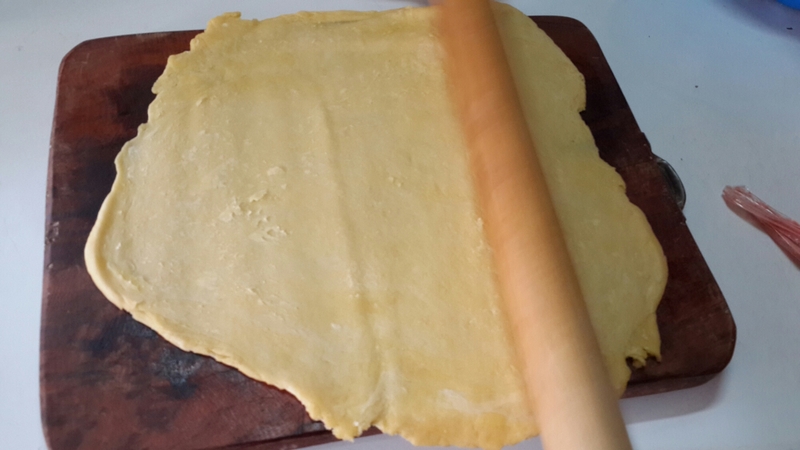 Turn the sides frequently to have both sides, evenly browned. Scoop out of the oil when it is a golden brown. *If you have bigger balls, that it is golden brown on the outside may not mean it is cooked through. – Fry in a deep pan. – Once the oil is hot, Turn the heat down to the lower range of medium. – Don’t fry balls that are too large. – A tip I learnt from the street vendors is that, as they scoop the paste into the hot oil, they wait for the balls to float,then they use a slotted spoon to move it to the side and add more into the oil. The frying basin may look crowded but it helps with heat control. The balls won’t burn and they would cook through. As they scoop out the first set they add more to the second set, and so on till all is done. 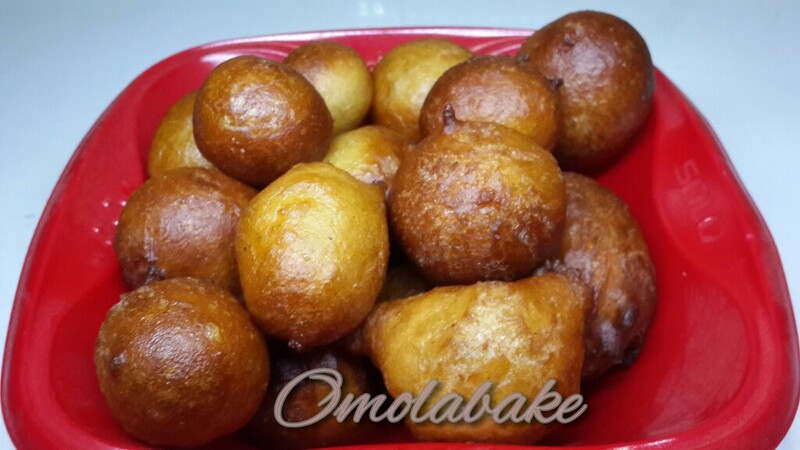 The possibilities with puff puff are boundless. 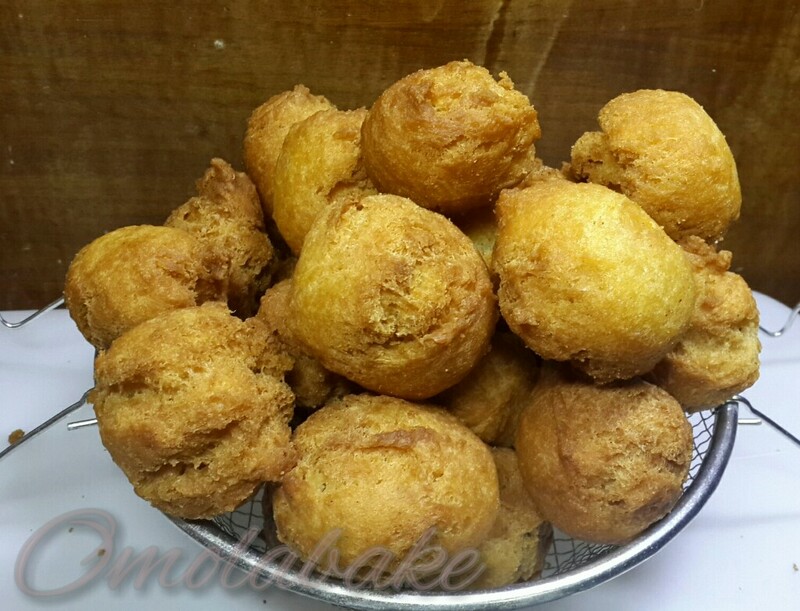 Here are a few ways you can enjoy your puff puff. 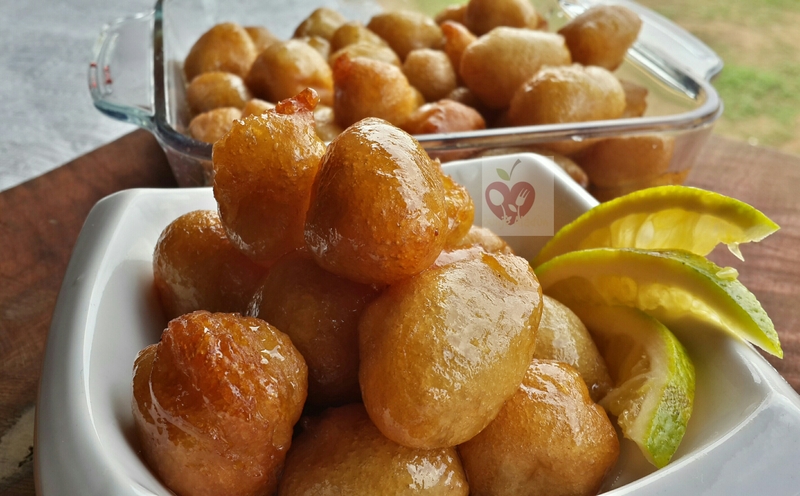 Puff puff dipped in Citrusy Sugar Syrup. It’s elections day in Nigeria today and as such most people are indoors. I am because I could not get my PVC (Permanent Voters Card), it got lost somehow in the custody of INEC. I know however that whoever it is Nigeria elects, the road ahead would not be smooth. So while others defy the weather and vote, I’m keeping my family entertained with some snacks. 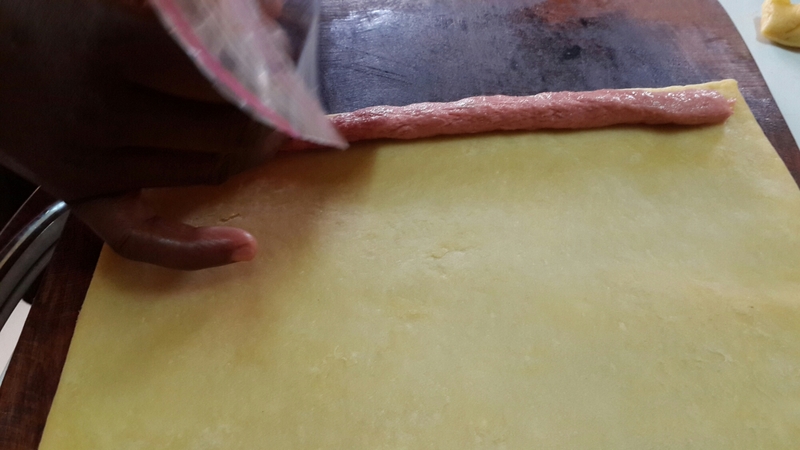 My little oga woke up this morning and asked my Help to please make him some sausage. She is particularly fond of him so she instantly swung to action while I supervised and read out the recipe to her. Blessing is a very smart girl and despite being unschooled, she assimilates fast. I’m proud to see her bloom under my tutelage. 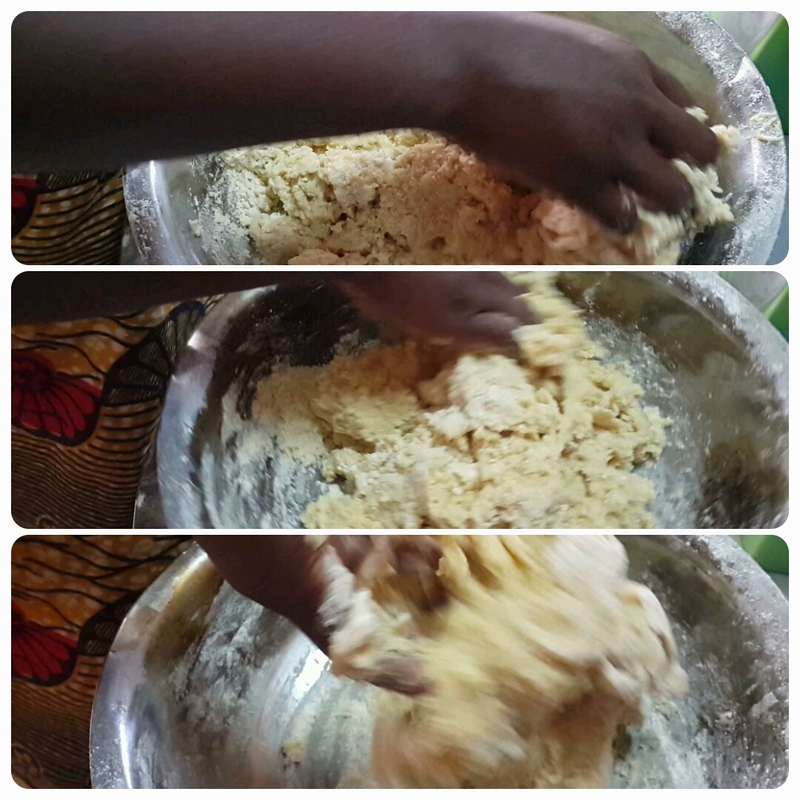 – Add one egg and water and combine until the mixture binds and forms a soft dough. 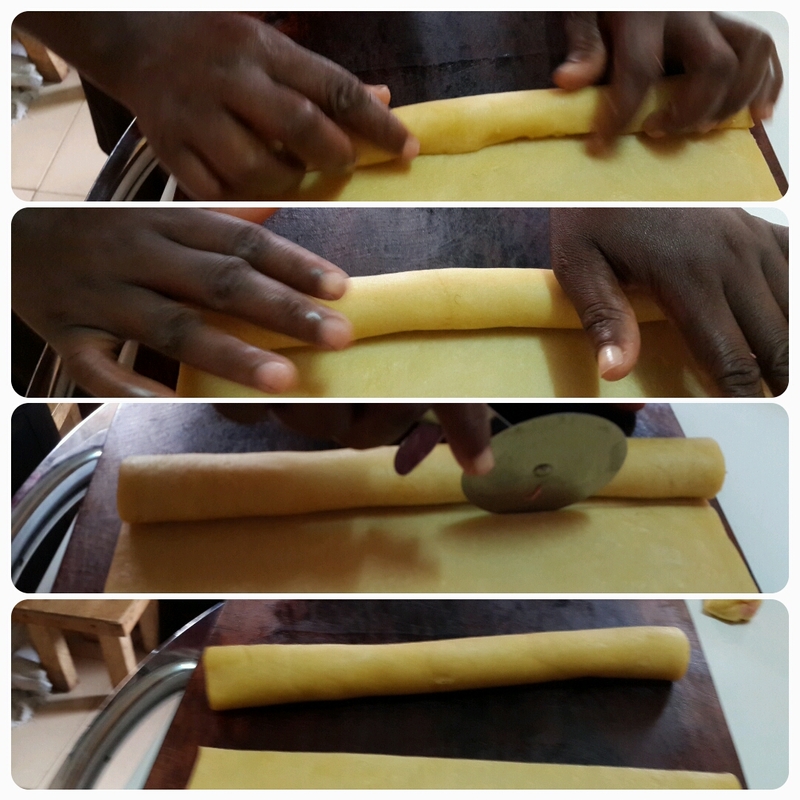 Handle the pastry gently and lightly. 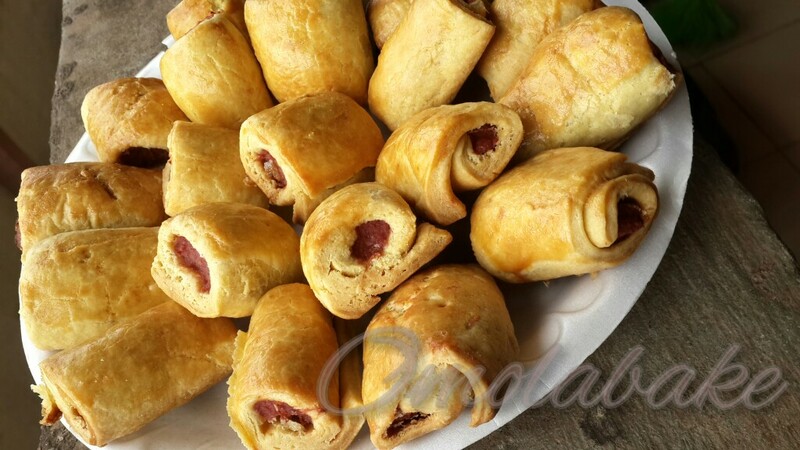 – Place pastry in fridge for about 15 – 20 mins to set. – Roll over and brush beaten egg at the tip to seal. 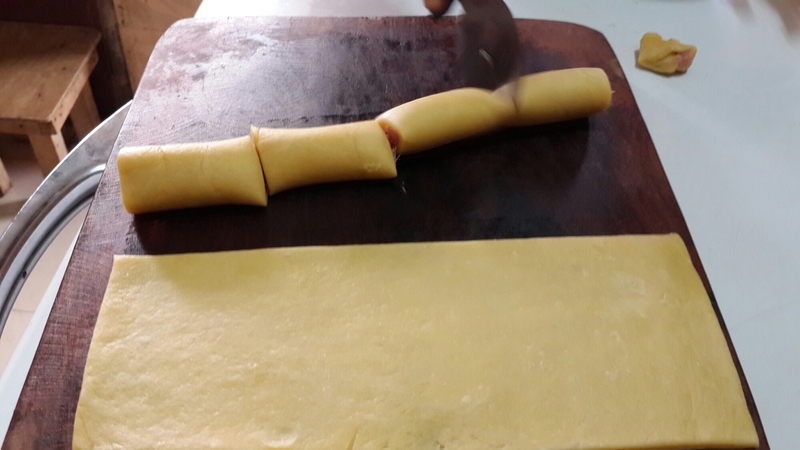 – Cut roll into pieces, depending on the length you want. 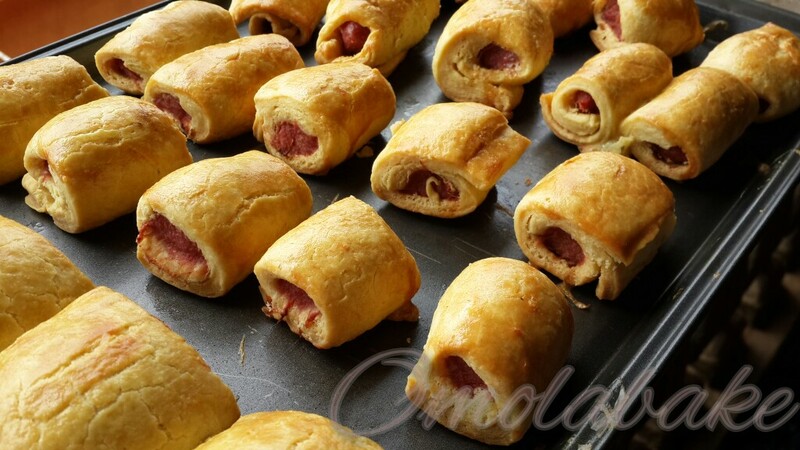 – Place the rolls on a baking sheet , brush with beaten egg and bake for 20 – 30 minutes in a pre heated oven. 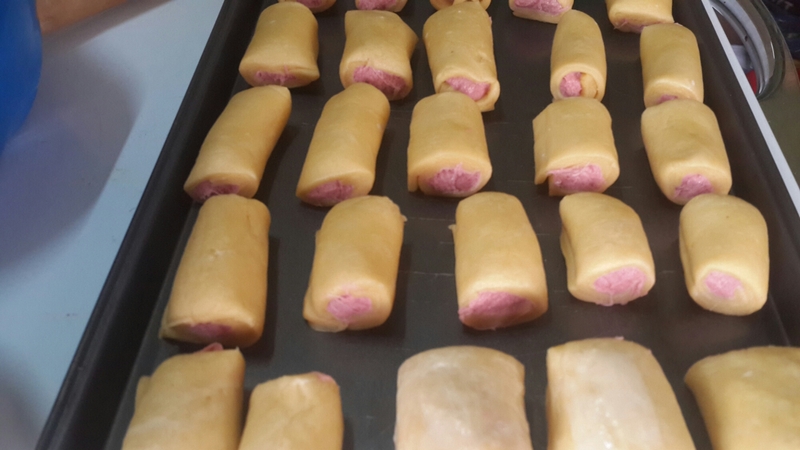 – In between baking, bring out the rolls and brush again with beaten egg and return into the oven until slightly golden brown in colour. Serve either hot or cold, with your favourite drink. I made this discovery some time ago, and I’ve shared it on other platforms but not yet here, so I’m excited to share with you guys. 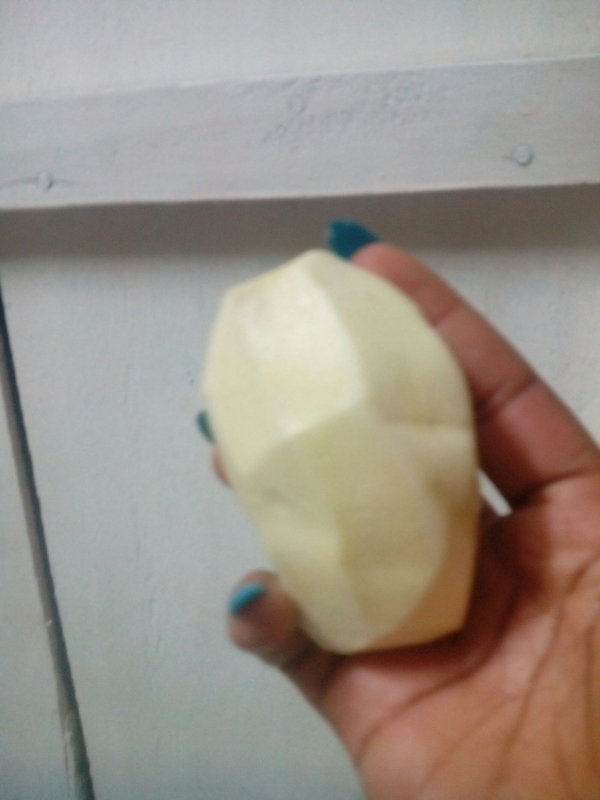 I was preparing to make a sweet potato dish and all day the thought of peeling potatoes and getting sticky green hands and green potatoes haunted me. I thought I’ll push the task to my help, as I was about to delegate the idea just hit me. 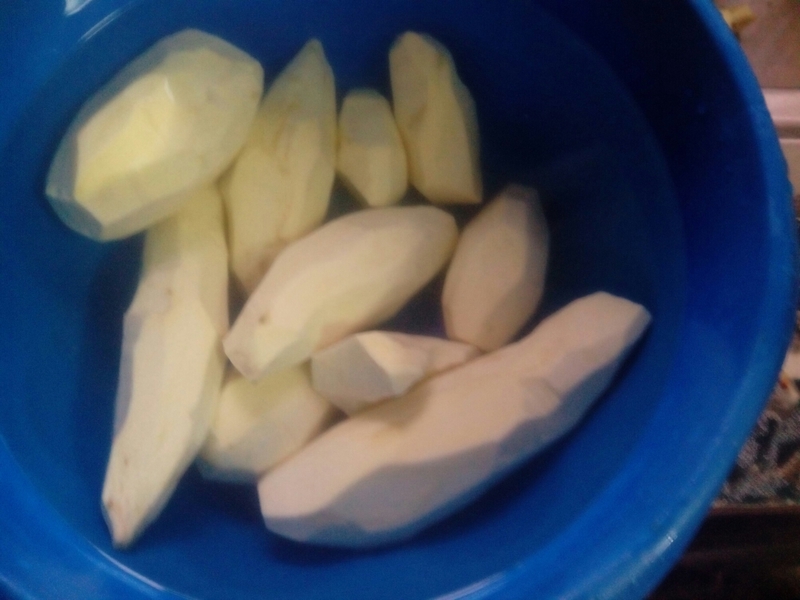 I remember I had learnt somewhere to peel whole tomatoes by shocking them, so why not Potatoes too. 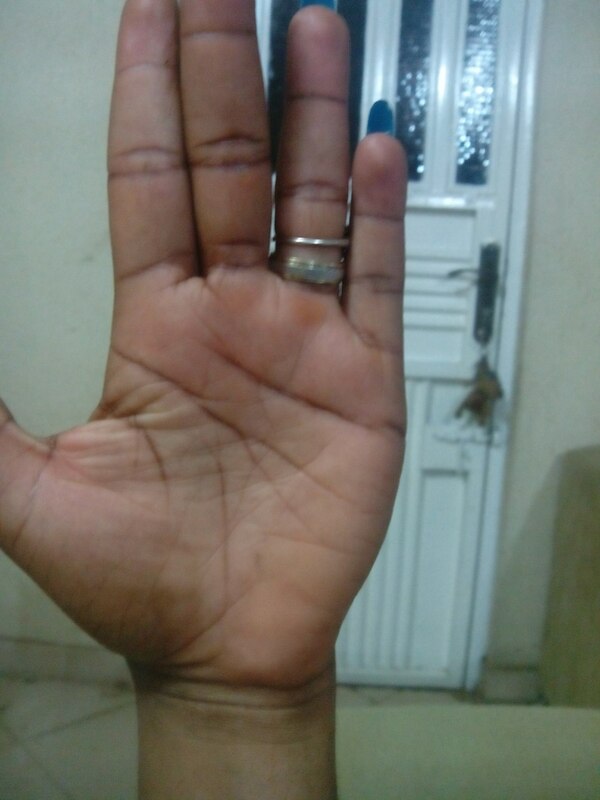 and my palms are clean too. Feels like I just hit a jackpot. 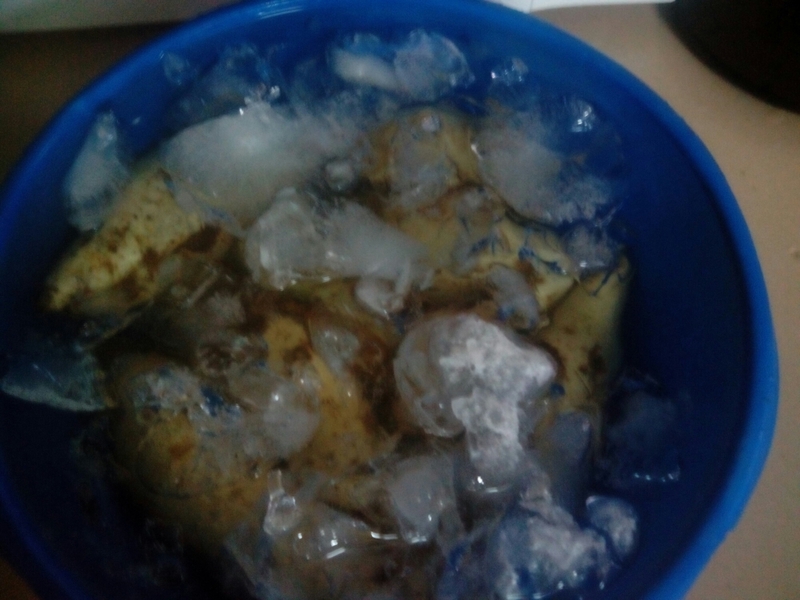 *if ice or ice cubes are not readily available, use ice cold water instead. It would work very well too. Breakfast ideas. This is one of my quick, go to breakfast menus. – Season and boil Chicken/fish/beef, then shred. 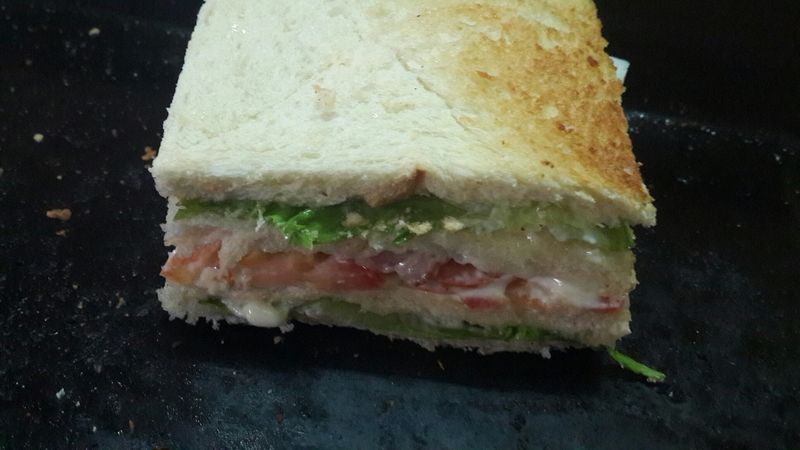 – Spread the mayonnaise on the bread and put the lettuce, and some shredded chicken, followed by another slice of bread with bacon, and tomatoes, then a slice with boiled eggs, topped with lettuce, and then the final slice to cover. *Note, that you spread mayonnaise on each slice of bread. For the slices in the middle spread mayonnaise on both sides. With a sharp knife or a serrated bread knife, trim the edges of your bread, taking off the brown at the edges and any other spill outs. Then cut the bread into two triangles. *If you are a Muslim or you can’t eat pork or any pig derivatives just use the other ingredients alone. 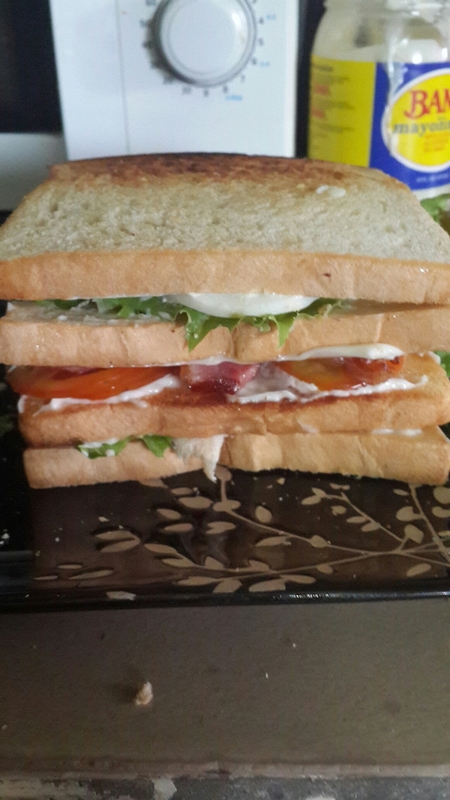 They are sufficient to make the sandwich shine. 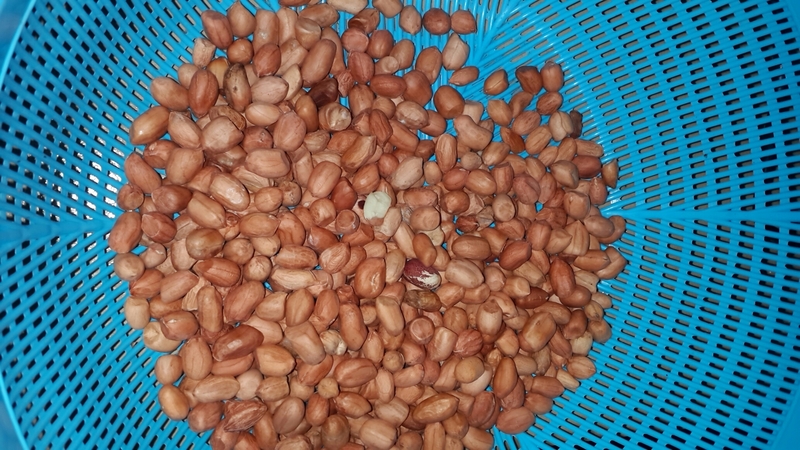 Roasted Peanut or Groundnut as it is called in Nigeria is a very popular snack. 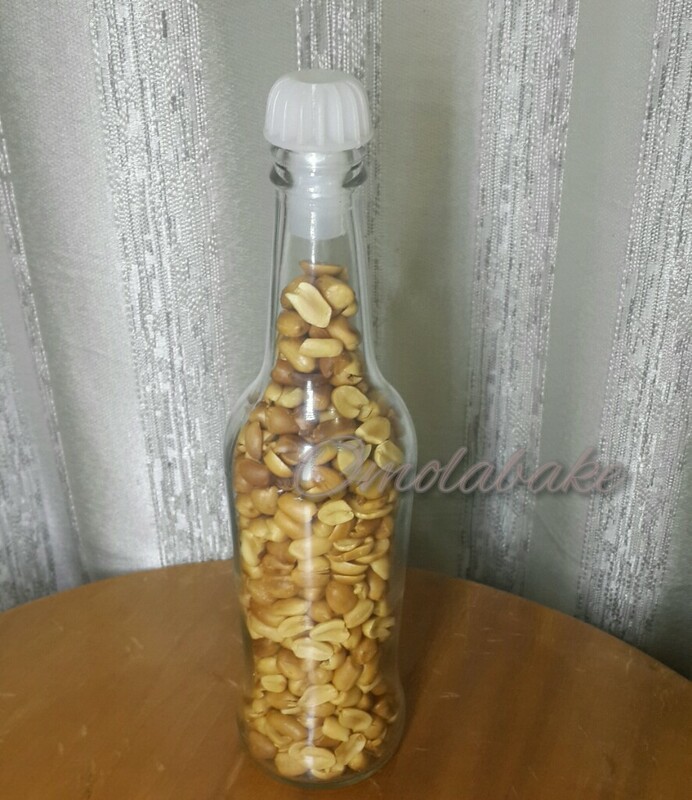 I remember hawkers carrying roasted groundnut, dankwa and pop corn in glass cases on their heads, they would use a fork to tap the case and make a rhythmic noise to attract people in the area to come and buy. Roasted groundnut is also a popular accompaniment to roasted plantain (Boli or Bole as it is called) , garri (cassava flakes) soaked in water e.t.c. It is quite easy to make. This is how I make mine. 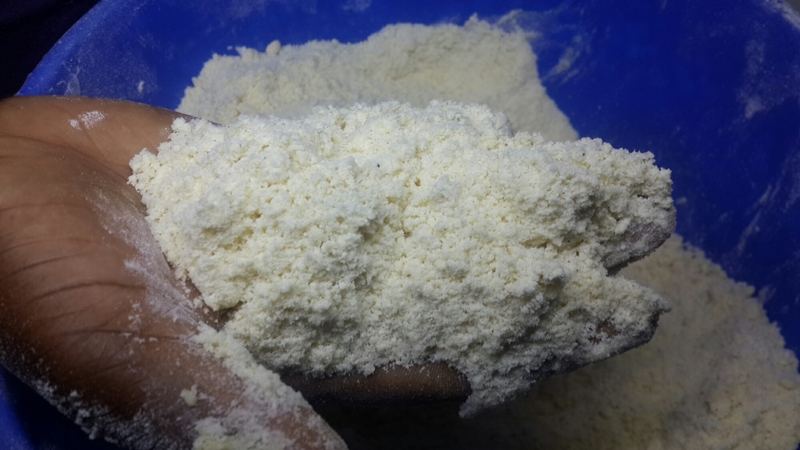 Garri, or Cooking Salt, or Very fine Sand to roast. 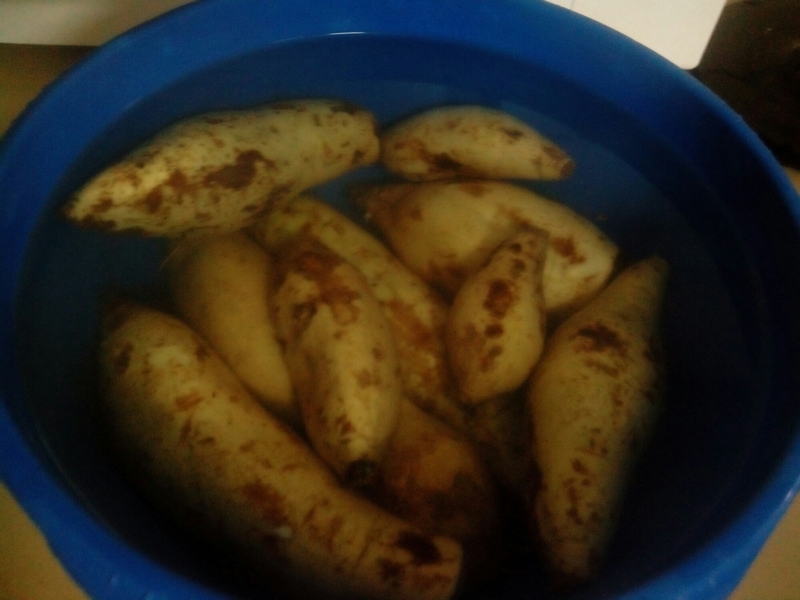 – Soak groundnuts in hot water and salt for about 30 mins, then drain in a seive, allow to strain completely. – Fine sand is the most popular thing used locally to roast groundnut. Sand retains heat and also the nuts roast quicker and finer. But I don’t care for that method at all. 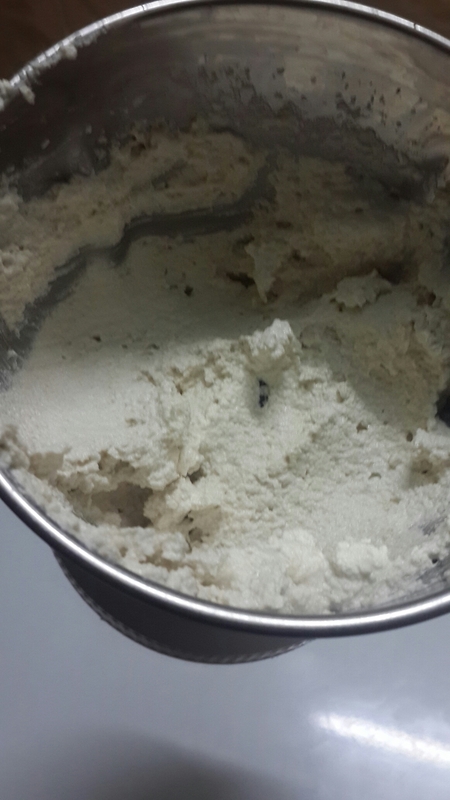 My neighbour when I was growing up used salt to make her’s, but I ain’t got annapuna salt to waste. So i used garri. 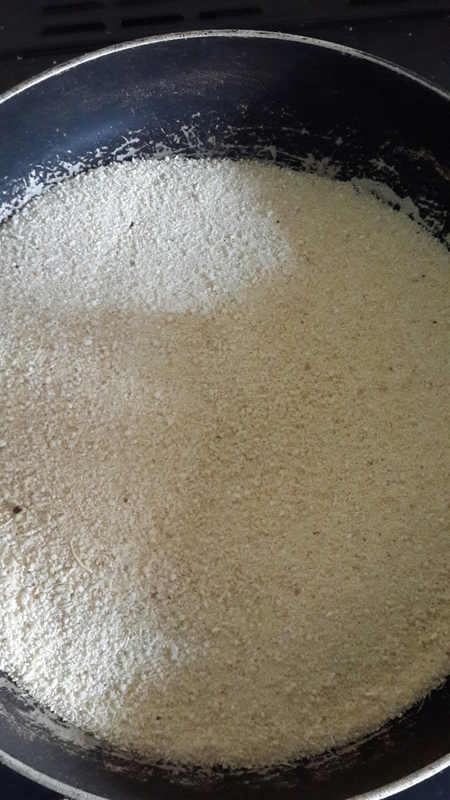 – Heat an empty pan on the fire and add garri/salt/sand, allow the garri to heat up slighty then add the peanuts. – Use a wooden spoon to keep stirring. Stir consistently so as allow for even cooking and to avoid burning. The peanut would start to make a crackling sound like pop corn. Keep stirring till the sounds stop and the skin looks like it is shrivelled. You can pick one nut and peel and taste, if it still tastes raw keep stirring. Keep checking to see progress if you peel the skin of about 3 picked randomly and it comes out golden brown, it is time to take it off the heat. 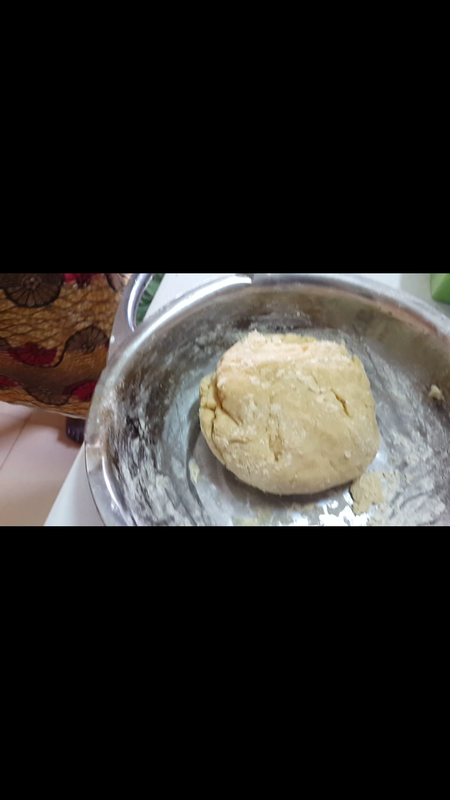 – Allow it to cool in garri/salt/sand before you pour it in large perforated seive, seive to separate garri/sand/salt from the peanuts. 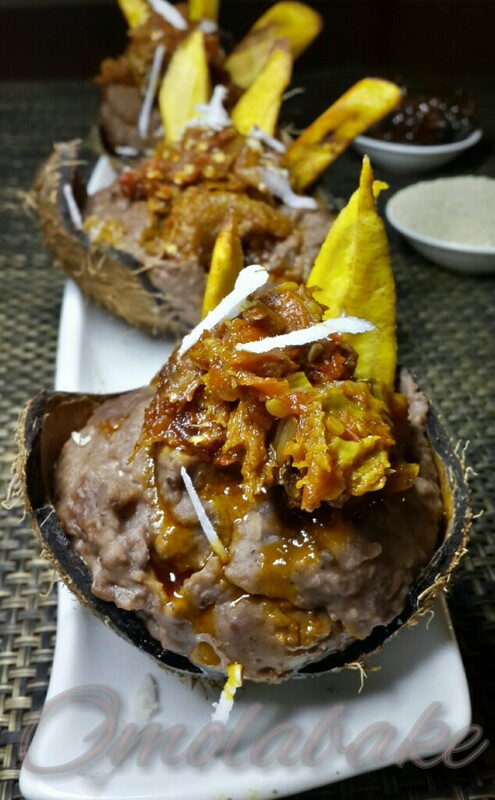 – If the groundnut is almost burnt or over roasted quickly take out of the garri/sand/salt as It would keep cooking even after it has been taken off the heat. – Allow it to cool completely then peel and store in an airtight container. Last night I made a beautiful dream out of one of my childhood nightmares. See as a child I did not like food. Asking me to go and eat was sort of like a punishment. I was a very picky fussy eater and this went on into my late teenage years. I used to forget to eat and was content to go on an empty stomach. At the age of 19, I stood at 5 ft 7 and weighed 51 kg at my heaviest. Of course all that is history now, I’m 5 ft 7, weigh 73kg that is what two pregnancies and good food does to your body. 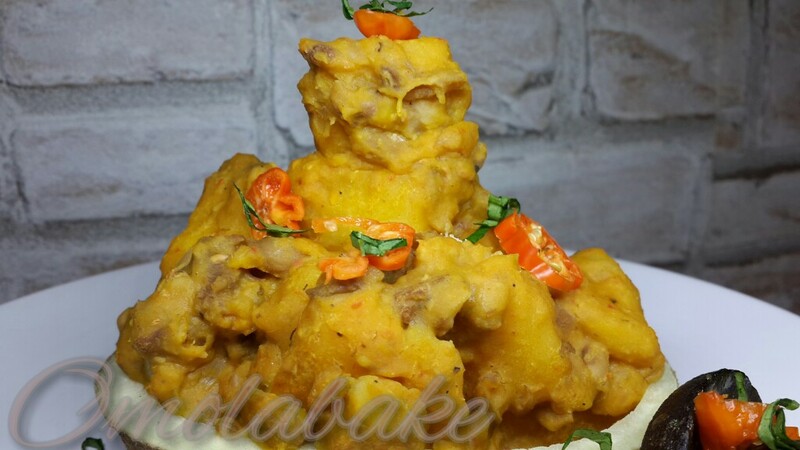 Well my mum hated to see food go to waste and as such a combination of yam and beans was certain when there was a left over of both. For me that was just traumatic. 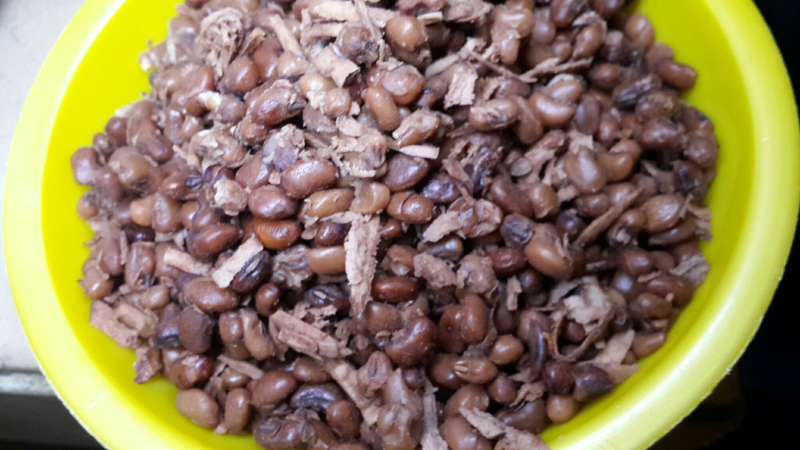 I hated beans as a meal on its own and I really didn’t care for yam, and the only genius plan mother:- dearest could come up with was mix both!!! No telling that half the time, it ended in the trash. So i don’t know why Beans and Yam would cross my mind for dinner. And to think I didn’t do anything fancy to it and I still liked it. 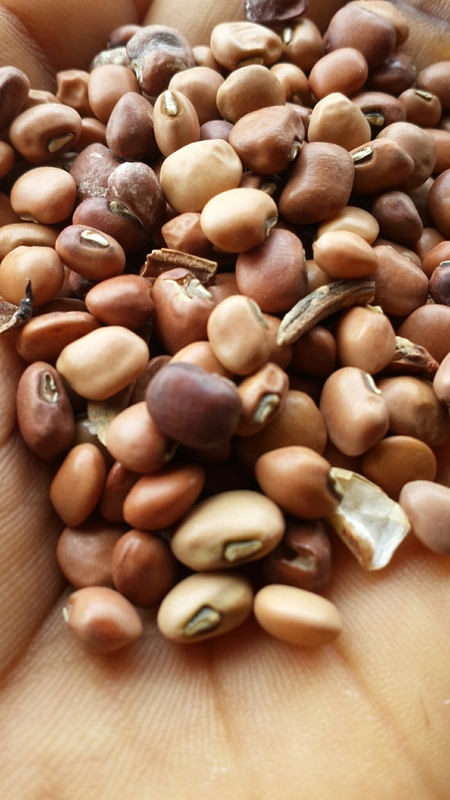 – Wash and boil beans for 10 mins (if using a pressure pot) or 25 mins if using a regular pot. You just want to soften the beans. 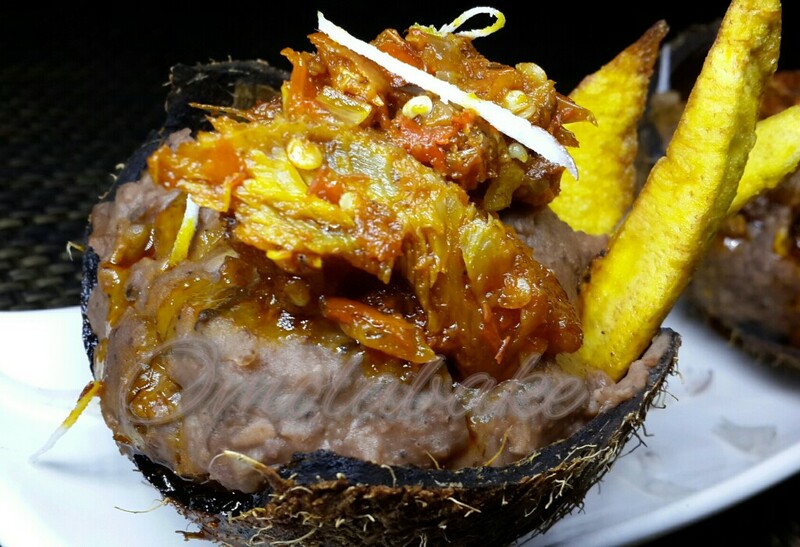 – Add the yam to the beans along with pepper, powdered crayfish and palm oil and meat stock. 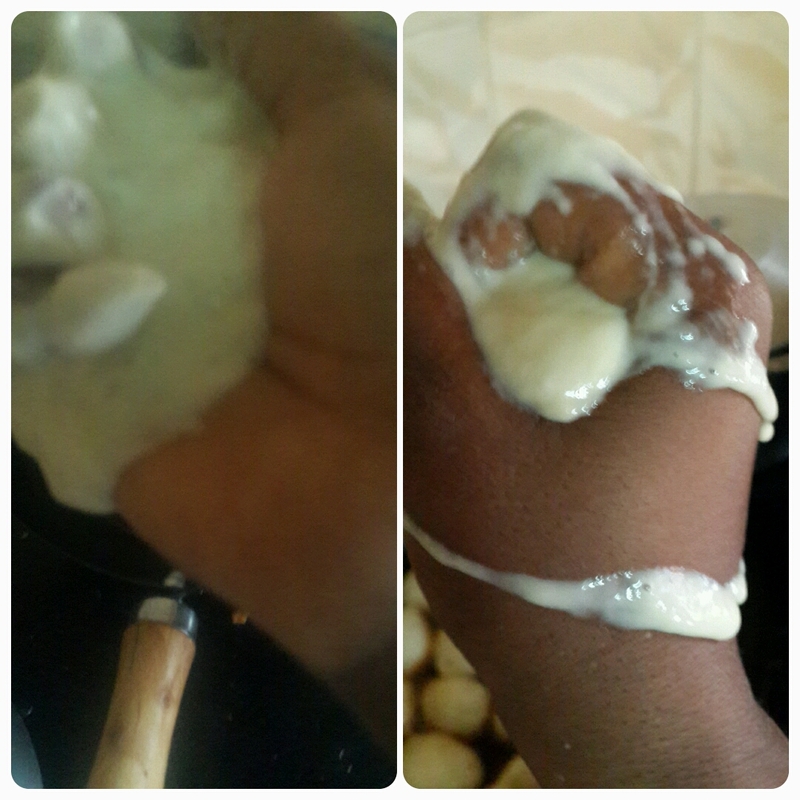 Cover the pot and leave to cook for another 10 or 20mins (pressure pot or regular pot). – Add assorted meats and fish and taste, season with salt and bouillon cubes if need be. – Turn the heat down completely and allow the simmer till the broth thickens. Can’t believe I enjoyed this! I was at my friend Jumoke Leo-Adeosun ‘s place last week Saturday and coincidentally she was making lunch just as I drove in -i sabi waka well abi- . So of course I joined her in the kitchen and we cooked and chatted happily away. 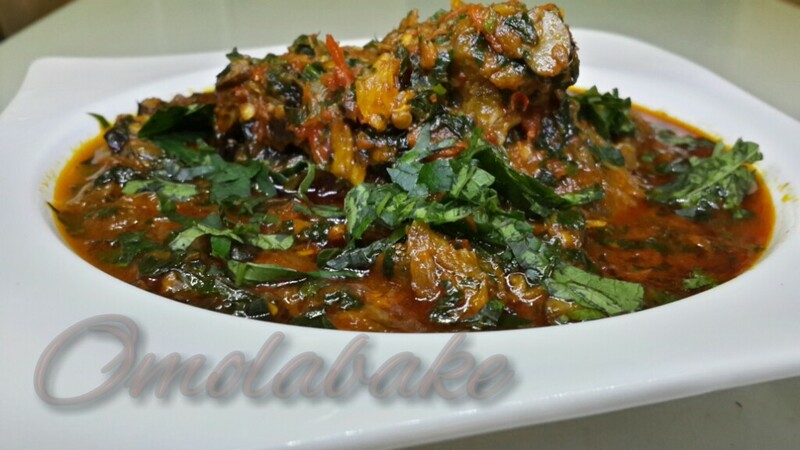 She served me this amazing plate of vegetable stew with Fried Plantain and I promised to replicate it. Just think stew with some vegetable added and you got this. 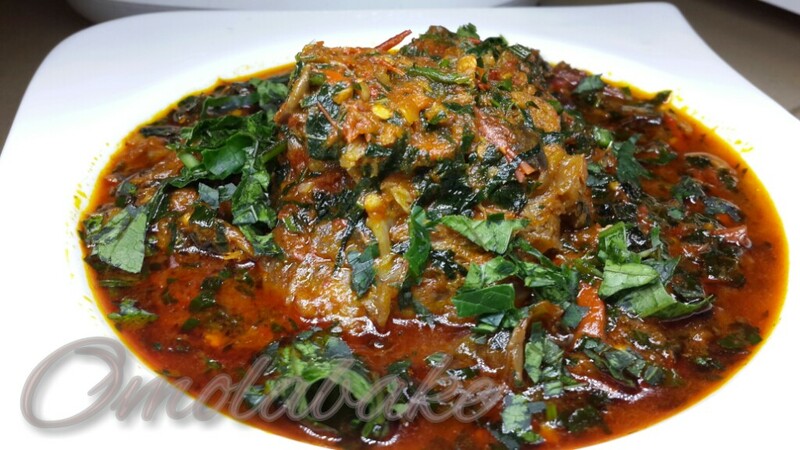 The vegetable added is very sparing so as not to over power the stew. Heat up oil, and add blended pepper mix, add meat stock, taste and if need be season with bouillon cubes and salt. 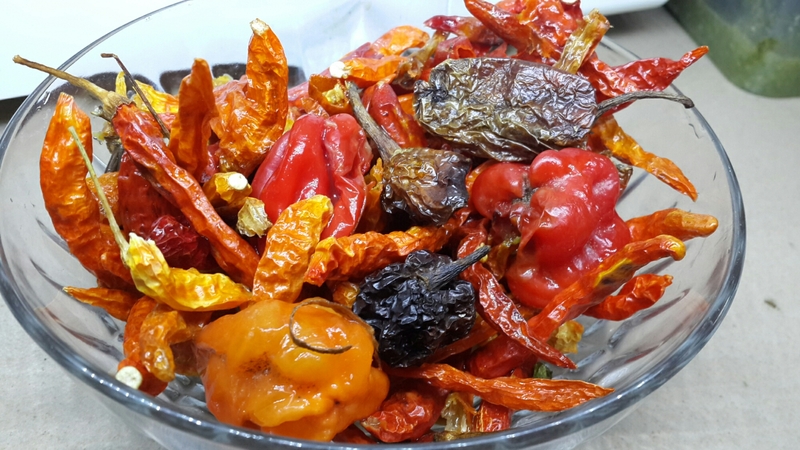 When the pepper is cooked (you know it is done when it no longer tastes raw)add your assorted meats or fish, powdered crayfish and iru. Allow to cook on medium heat for 10 mins to allow the meats absorb the stew flavour. Sprinkle your thinly sliced vegetable and turn the heat down. Don’t over cook your vegetable , I try not to cook vegetable for longer than 5 mins. You can eat the stew alone or with any other starchy food of choice. Pounded yam with Egusi is almost becoming a Sunday lunch meal in my home. My son seems to know it now too, so when I got back from the salon last night, he said “Mama, can I have pounded yam tomorrow?” I said yes of course. Inspite of him having his mandatory Jollof Rice -which we must buy after service from Mrs John Mark-, he still finished my fist size of pounded yam and egusi soup. 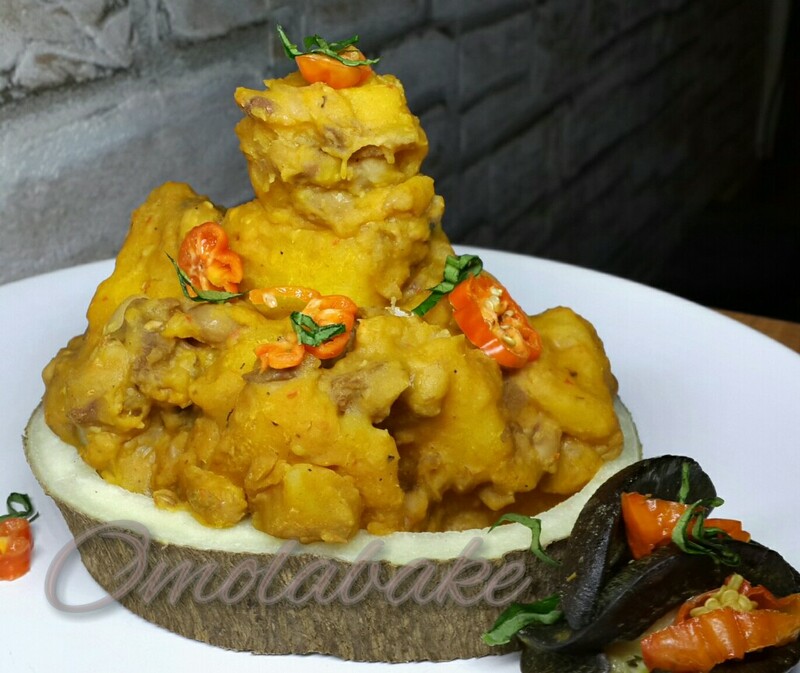 My favourite form of Egusi Soup is the lumpy type. You know that type, that is chewy and almost feels like you are biting into an egg? Credit to Mummy dearest for teaching me how to make this. Blend your melon dry, then add one grated onion and mix till all is incorporated and the oil is beginning to seep from the egusi. Roll into little balls and set aside. 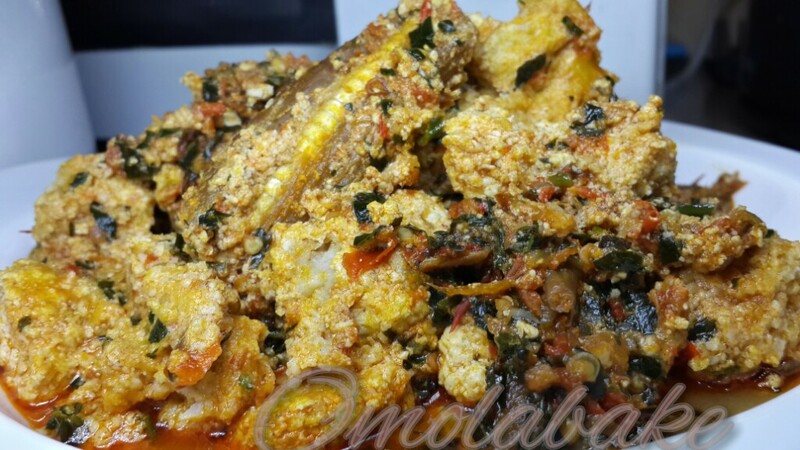 Blend egusi with onions and a little water to a very thick smooth paste. 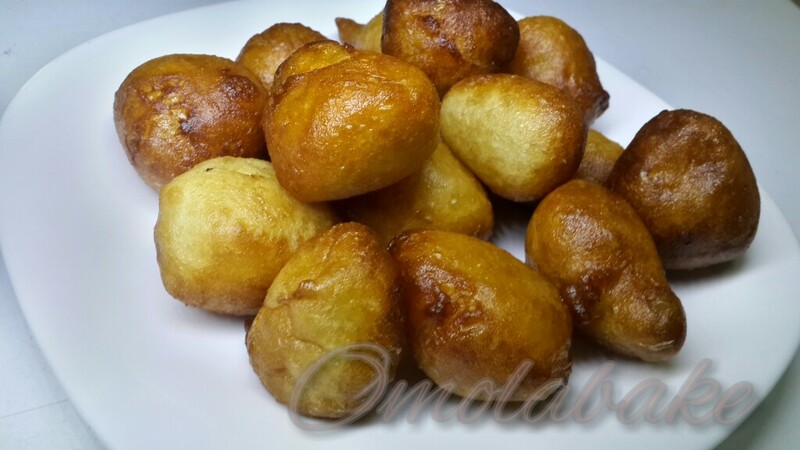 Heat up palm oil in a pan, add the egusi balls(you can fry the egusi balls mixed onions in method 1 above too) or scoop fulls depending on the method of blending. Fry the egusi in the oil turning both sides. It’s almost like frying akara only it doesn’t get as fried, then turn off the heat. If using fresh meat, season with bouillon cubes, salt, *catfish head if you have and cook till nearly done. Add blended pepper and allow to cook -you may add more chopped Onions if you haven’t used too much already in boiling the meat-. If you have cooked meat, Cook blended fresh pepper + chopped onions, add meat stock -if you have none just season the pepper – and add meat just before pepper is done. 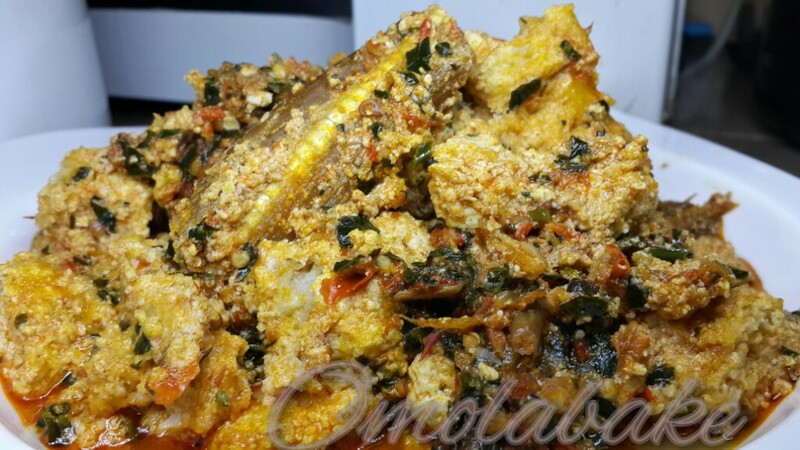 You might think I was a little too generous with the oil -Oyel as I love to call it.- this is what to note about egusi.